Experimental tests of fundamental symmetries using nuclei and other particles subject to the strong nuclear force have led to the discovery of parity (P) violation, the discovery of charge-parity (CP) violation, and the prediction of a hypothetical particle called the axion, which is currently a leading dark matter candidate. It is believed that additional sources of CP-violation may be needed to explain the apparent scarcity of antimatter in the universe. 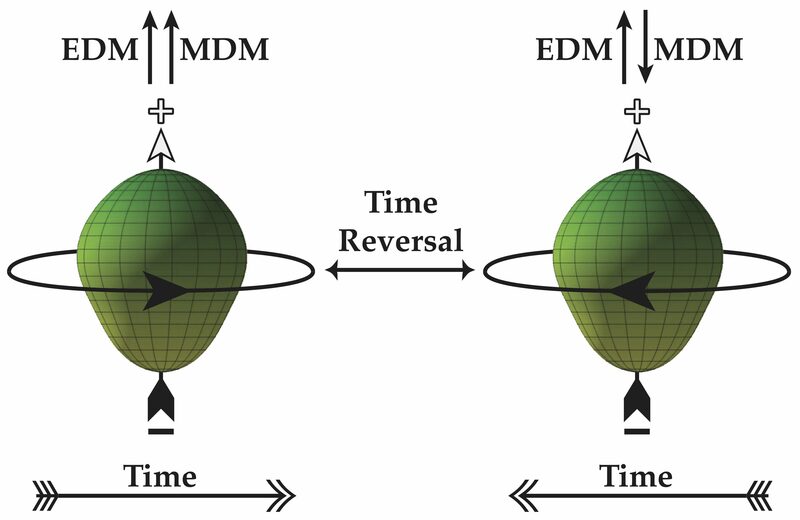 A particularly sensitive and unambiguous signature of both time-reversal- and CP-violation would be the existence of an electric dipole moment (EDM). The next generation of EDM searches in a variety of complimentary systems will have unprecedented sensitivity to physics beyond the Standard Model. I will describe two new searches using different nuclei and laser techniques. The first uses laser-polarized xenon and helium gases in the world’s most magnetically quiet large scale environment located in Munich, Germany. The second uses laser-trapped & -cooled radium atoms in an experiment located at Argonne National Lab. Radium is a particularly attractive choice because its pear-shaped nucleus amplifies the observable effect of CP-violation by several orders of magnitude.